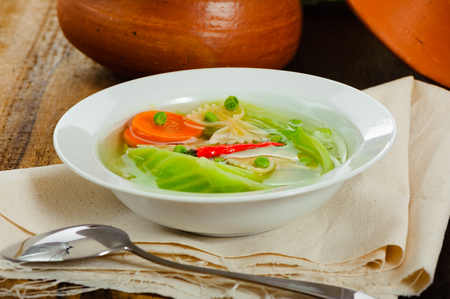 The cabbage soup diet quite popular among those who want to lose weight quickly. Weight loss is usually about 5-7 pounds in a week, which is comparable to starvation. The higher the weight, the more you will lose weight. Like any other strict diet cabbage soup diet causes damage to the body. It is worth remembering that it is impossible to observe more than 10 days. During diet Breakfast drink a Cup of unsweetened green tea or coffee, at lunch you can prepare the salad of cabbage and shredded carrots with olive oil, if desired, it is not forbidden to eat a little boiled fish or piece of chicken (200 grams). For dinner it is best to eat a Kale salad, a boiled egg and some fruit, it can be orange or Apple. A couple of hours before bedtime can drink low-fat yogurt, it promotes good digestion. While dieting you should drink plenty of fluids at least 2 liters a day. It is best to drink ordinary sparkling water. Tea and coffee or fresh juice are also allowed to drink, but these drinks are equal to the food. 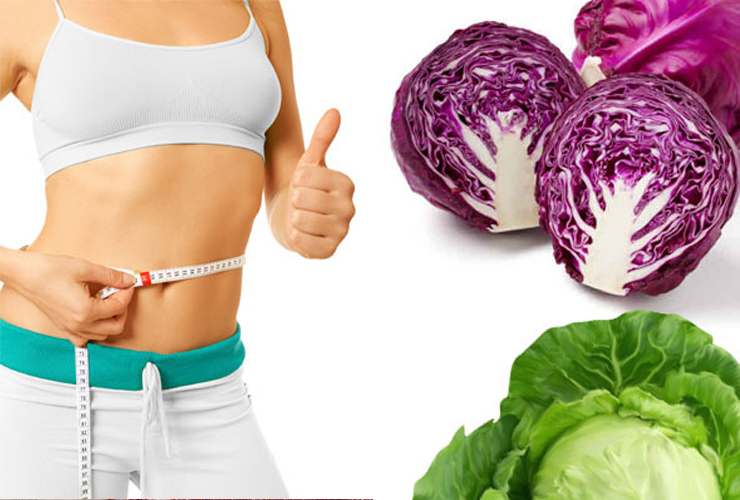 The cabbage diet is good because it allows you to lose weight quickly and permanently save the result. It also helps speed up digestion and rids the body of excess toxins. During the diet are shown to take vitamins and mineral supplements. Remember that this diet is contraindicated for people suffering from diseases of the kidneys, liver and gastrointestinal tract. Cabbage is one of the most suitable vegetables for diet. Low calorie and high nutrient content make cabbage and other cabbages are the best choice for different loss programs weight. With their help you quickly and effectively lose weight, without causing significant health damage. With the cabbage diet you can lose up to 7-10 kg of weight in just a week. Moreover, there is no need to follow a strict weight loss program, to eat only the cabbage. Variation cabbage diets with different duration and performance. Cabbage is indispensable in a healthy diet, this vegetable is a source of vitamin C, B, R, K, various amino acids, mineral substances. In addition, this vegetable contains valuable fiber, which helps to normalize the digestive process. In the cabbage a few carbs, so losing weight on this diet happens in a short time. For cabbage diet allowed the use of different varieties of cabbage. Their caloric content is about the same, white is low in calories (26 kcal), Beijing (12 kcal), pickled (19 kcal). Cabbage can be steamed, baked, boiled, fresh and as part of soups. Strict cabbage soup diet is virtually is intended to include fats, therefore keeping it to no more than 7 days. This weight loss program contra-indications – diseases of the digestive system. Also, be aware that the cabbage soup diet is not balanced, so you need to pre-consult with a nutritionist. Low-carb cabbage soup diet excludes carbonated water, sugar, honey, bananas and other "forbidden" products. You can include in your daily menu, green tea, coffee, any fruits. But despite the effectiveness, this diet should not be practiced at high physical and mental stress, during lactation, pregnancy. To lose weight seven day diet, for Breakfast it is advisable to drink plain tea or coffee with one piece of fruit. Sample menu for lunch may include a salad of different varieties of olive oil, 200 gr. boiled chicken, lean beef, fish. For dinner it is best to eat vegetable salad with cabbage, carrots, herbs, boiled egg and fruit. To complete the day to drink the kefir with 1% fat. You can also cook the cabbage soup with peppers, herbs, carrots, onions, vegetable oil and lemon juice. 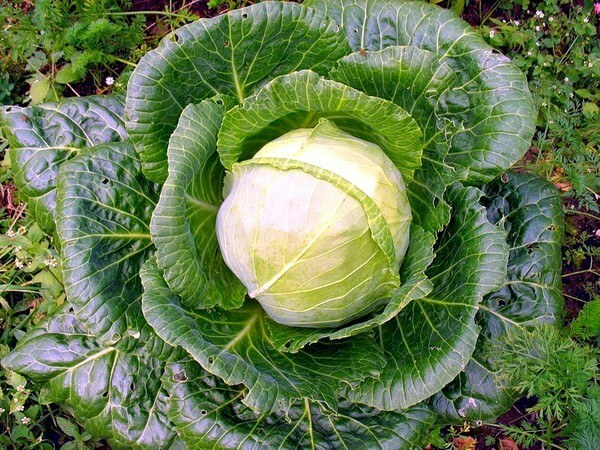 Cabbage diet recommend that people wishing to lower cholesterol levels in the blood. Cabbage soup drink after a protracted illness, in the rehabilitation period. Miracle-vegetable reduces nervousness, headaches, helps to regulate kidney function, blood sugar levels. 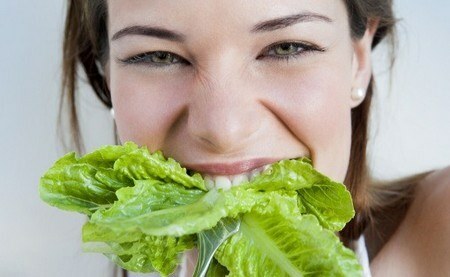 Remember to save the results from the cabbage diet to properly go, switching to a balanced diet. Unlike many others, cabbage soup diet tolerated quite easily. Besides the fact that cabbage has a number of nutritional properties, it is a hearty vegetable. If desired, you can cook dishes such as: soup, salad, stuffed vegetables or stew. Despite the fact that cabbage is a low calorie product, it is completely capable to satisfy hunger. In today's world there are two types of cabbage diet. To begin, consider the first option. For Breakfast you need to drink green tea or unsweetened coffee. For lunch you should eat a cabbage-carrot salad with olive oil. Allowed to add to the salad not more than 200 g of boiled or fresh meat. In the evening it is possible to eat a boiled egg, treat yourself to a salad of pickled cabbage and some fruits. If hunger does not sleep, it is possible to drink one glass of dairy products, but only degreased. If you strictly follow the rules of the diet during the week, you can lose about 10 pounds. Another option is cabbage diet more popular amongst dieters. The idea is that the whole diet is built on the basis of the cabbage soup. This diet brings a stunning result, although strictly adhere to the monotonous menu will not be easy. Less resistant are allowed to include in the diet fruit and some cooked meat. But cabbage soup will still have to eat constantly. So, the illustrious ingredients of the soup. On the first day of the diet eat soup and any fruit (remember the exceptions). On the second day – only soup. On the third day, besides the soup, I can afford vegetables (except potatoes), steam is better, but you can make the salad. On the fourth day in menu soup and two glasses of milk (1%). On the fifth day, eat the soup and 400-500 g of fresh low-fat meat. You can also eat some tomatoes. On the sixth day, soup, 150-200 g fresh low-fat meat. On the seventh day – soup, vegetables, fresh juice. The amount of cabbage soup as you eat it as much as you want. The result will appear after a week. In any case, to stick to this diet for too long not to be.